My name is Lora. I’m in my mid-thirties. I was diagnosed with RA in February, 2010, after demonstrating symptoms for almost two years. The onset of the disease was brought on (I believe) by a tsunami of incredibly stressful events, including a miscarriage, a traumatic divorce and a turbulent time in my career. My Father, a former Marine, has lived with this disease for over 15 years and continues his treatment today. For a period of time, we were treated by the same rheumatologist. I turned to books and the internet for hope after my diagnosis. There were very few stories of hope and even less of success in living an active, or even normal, lifestyle. I felt one word… Despair. How can there not be hope? How can there not be help? How can there not be a better life? I refused to give in. It’s that fight in me that got me through and it’s my mission to share the light that keeps me going. Lora Tucker Kaasch – that’s me! Never, ever start a new exercise/diet/drug/herb program or change/reduce/eliminate anything prescribed by your doctor without speaking with your doctor first. Hi there! 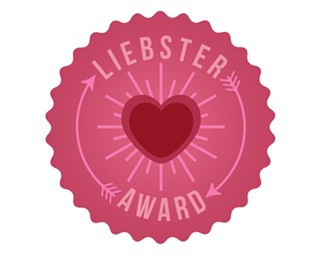 I love your site so much that I’m nominating you for the Liebster Award! Of course, you are not obligated to participate; however, if you would like to please see my post http://thelittleslice.com/liebster-award/ for additional information and an example of what to do next. I look forward to reading more posts from you! Thank you so much! I am honored and I am excited to participate! Thank you for reading and for visiting with me!